My interest here is in the family connection, as well as my own memories of Stockbridge in the 1950s. I have reproduced here, without further comment, an article written by my brother that appeared in the Berkshire Edge recently. The former Laurel Cottage, built around 1740, was a historically significant building in the town of Stockbridge. On Wednesday, Sept. 16, 1953, the Berkshire Evening Eagle published an op-ed article penned by Grace Bidwell Wilcox, titled “The Ghosts of Laurel Cottage.” As curator of the Stockbridge Library’s historical room and a Bidwell family member, it appeared to be a last-ditch effort on my grandmother’s part to herald the historical value of the house and diplomatically bemoan the lack of enthusiasm for its preservation. David Wood – a teacher, author of local history and later director of the Norman Rockwell Museum at the Old Corner House – joined in the effort, writing a piece for the St. Paul’s Church newsletter. The house and land, just east of the current town offices – then owned by Helen Bidwell Lukeman, wife of sculptor Augustus Lukeman – was being taken by eminent domain for school and town use as a playground and park. A sampling of the many ghosts of Laurel Cottage should include the builder of the original house, Joseph Woodbridge, who constructed it in 1740. Woodbridge, brother of schoolmaster Timothy Woodbridge, was the head of one of the four families invited to settle in Stockbridge to assist the missionary Rev. John Sergeant and Timothy Woodbridge by providing an example of Christian living for the Stockbridge Mohicans. Joseph, with his family, came to Stockbridge in 1739. A who’s who of 19th century American authors rented or visited Laurel Cottage including Harriet Beecher Stowe, Herman Melville, Nathaniel Hawthorne and the English poet Matthew Arnold. St. Paul’s Church was organized there in 1834. By 1841 David D. Field Jr. had acquired the house, which Field’s daughter Lady Musgrave later inherited. She, in turn, sold the property to her cousin Charles A. Bidwell for one dollar and other valuable considerations, which turned out to be the shipping of some of Laurel Cottage’s furniture to England. Laurel Cottage, minus the Victorian gothic projections off front and back, provided an excellent example of Queen Anne, late Stuart or Baroque architecture, a style that is best viewed by conjuring up an image of the current Mission House on Main Street, which itself was likely remodeled from a saltbox by Dr. Erastus Sergeant in the 1760s. During the razing of Laurel Cottage, evidence was found indicating the original structure had been built in 1740. John Sergeant- Jonathan Edwards house which was at 23 Main Street. The John Sergeant-Jonathan Edwards house rested at what is now 23 Main St., built c. 1737 for Rev. John Sergeant, missionary to the Stockbridge Indians. Based on dendrochronology, it is believed that Sergeant constructed the so-called Mission House, his second house, on Prospect Hill around 1743, although some histories place it as late as 1747. As a result of land surveys done during the creation of the 1750 Indian Proprietorship, two Stockbridge Mohicans – Jonas Etowaukaum and James Chanequin, sons of Aaron Umpachenee aka Sonkenewenaukheek – acquired the Main Street house and barn with 8 acres. They sold the property to the Rev. Jonathan Edwards in October of 1751. Later occupiers included Asa Bement, Jahleel Woodbridge, Judge Theodore Sedgwick and General Silas Pepoon. The house and property today are more commonly remembered as having housed the Edwards Place School from 1855 to 1874, which attracted a number of well-known and near-famous either attending or supporting the school. For a time it was a boarding house before being acquired by John Cadwell from Ferdinand Hoffman in 1900. 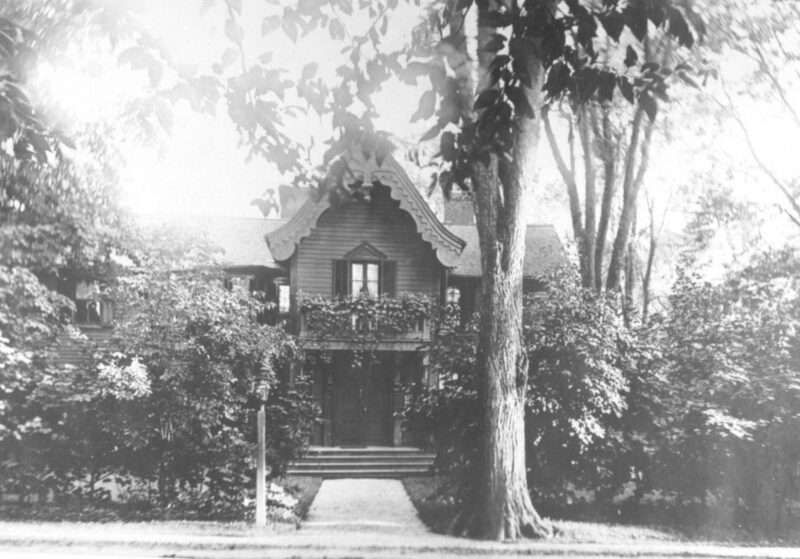 Cadwell had the house razed and had a “cottage” built further back from the road, which was later purchased by Austen Fox Riggs and called the Foundation Inn. It is not without some irony that the town of Stockbridge, which harbors such an incredible history peopled with the famous and near-famous – one that is matched by few towns of its size in New England – has failed on so many occasions to preserve the symbols of that history. The home of Rev. John Sergeant and Rev. 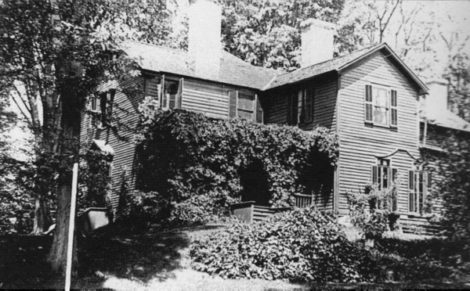 Jonathan Edwards and Laurel Cottage, arguably two of the most historically important houses in Stockbridge, were victims of the wrecking ball. While a sundial memorializes the Sergeant-Edwards house, the two tennis courts on Bidwell Park hold no memories of Laurel Cottage. Those symbols of the past were a part of the historical fabric of the town, which provided insight into the town’s personality and character and, possibly more importantly, they would now help to give roots to an ever increasingly transient population that now call Stockbridge home. Hopefully, the fate of the Fitzpatrick Park with the Cat and Dog Fountain will be a balance of preservation and progress after much thoughtful and healthy debate.